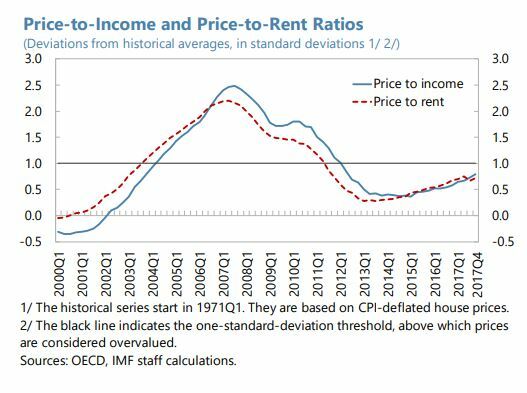 The Unassuming Economist | Developments in Spain’s Housing Market: Already a Cause of Concern? 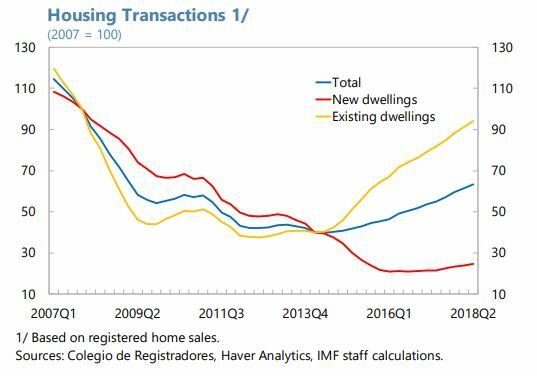 Developments in Spain’s Housing Market: Already a Cause of Concern? “House prices have increased in recent years, although from a low level and without signs of a construction boom. While there is no clear evidence of a significant price misalignment yet, the authorities need to be vigilant. The set of macroprudential tools should be expanded to deal with potential financial stability risks. The ongoing price recovery is not associated with a construction boom. House prices have increased by around 15 percent between 2014–17, boosted by fast recoveries in cities like Madrid and Barcelona. Registered sales have disproportionately risen among existing dwellings, whereas new-dwelling transactions are still well below their pre-crisis peak. 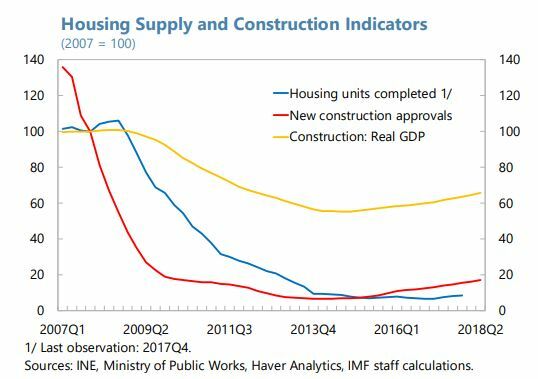 Despite early signs of mild supply-side recovery, such as an increase in new construction approvals from a low level, the housing stock has barely risen so far. In the overall economy, the contribution of value added from the construction sector is nearly half of what it was before the crisis. These trends have been accompanied by a small decline in home ownership (from 80 to 77 percent between 2008–17), while renting activity has strengthened. Against this background, new rent subsidy programs and social home loans were recently introduced. The authorities are also considering expanding the social housing stock. limited in capturing supply-side dynamics.